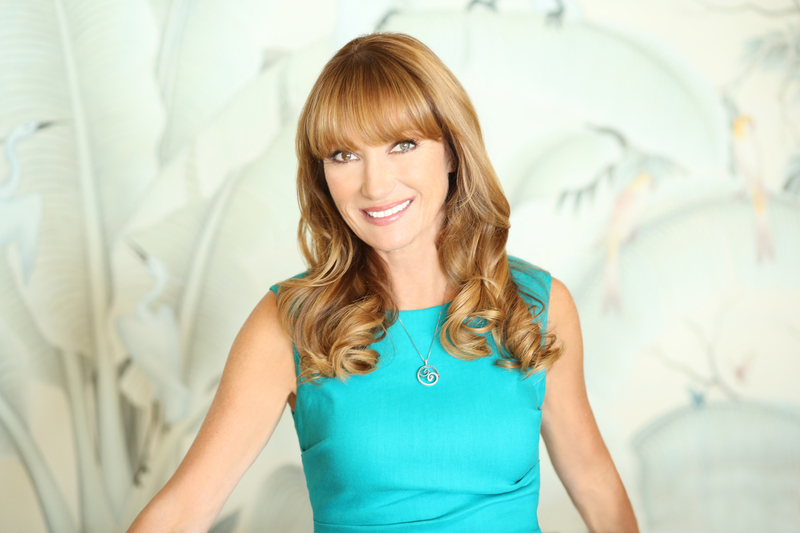 Jane Seymour's mother survived a Japanese concentration camp in Indonesia during World War II. Not only did the experience greatly impact Seymour's mom, but the challenges she faced -- and later overcame -- have remained an inspiration to the actress throughout her life. "When I was growing up she [my mom] said to my sisters and I, 'There will always be a challenge in life, and if you can accept what happened, open your heart and reach out in some way to help someone else, then you can will actually find purpose and through that, you will actually find love,'" said Seymour. It's the reason Seymour, 64, started the Open Hearts Foundation, a nonprofit charity established in 2010 with a mission to help empower people to transform adversity into an opportunity to serve others. This weekend, to coincide with Mother's Day, Seymour will host a special gala in Los Angeles as part of her organization. "We honor people who have taken a challenge in life and use it as an opportunity to help others," she said. Among this year's honorees Eileen Garrido, a 16-year-old girl born with a major heart defect. "She's had three major open heart surgeries. And because it was just so tough and she saw all these other kids being scared to death with the surgery she started the Beating Heart Foundation," said Seymour. "And it supports a children's hospital in LA. So that's pretty wonderful." Seymour is also honoring Paul Stanley of Kiss, who was born with a birth defect -- microtia -- which resulted in loss of hearing on his right side. He's involved with Mending Kids, an organization that does free surgeries for kids. And lastly, they're honoring Elle Febbo, the winner of the Share Your Open Hearts Story Contest. "She was a foster kid. She was abandoned by her family quite early in life and went through a lot of foster parents. Not such a great experience, but stumbled across someone from Big Brothers and Big Sisters who turned her whole life around," said Seymour. Funds raised from the event will go to each of the honorees' charities. On Sunday -- the day after yhr gala -- Seymour plans to spend time with her children for Mother's Day, and then it's off to the Cannes Film Festival for her new movie, "High Strung," in which she plays a no-nonsense "really nasty dance teacher." Think J.K. Simmons as the strict music instructor in 2014's "Whiplash," Seymour said. "I do mean really well," said Seymour who notes the film features every kind of dance. "It has hip-hop and ballet and jazz...and every kind of music. It's really really cool," she said. Seymour will also be seen this year in "Bereave," co-starring Malcolm McDowell, Keith Carradine and Vinessa Shaw, which will screen at the Edinburgh Film Festival. Check out the videos above for more on Seymour's Open Hearts Foundation, that memorable "Wedding Crashes" scene and her time as a Bond girl.